It’s almost that magical time of year… Better than Christmas, your birthday or your anniversary! 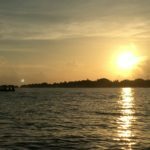 Yes, I am talking about Plastic Free July! 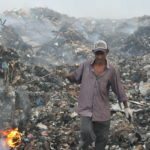 An amazing movement by earth-loving people who care about their plastic footprint. If you’re tempted to try living without plastic, this is a great time to start your new lifestyle! There’s just one rule for Plastic Free July: refuse single-use plastic. It won’t always be possible, but strive as much as possible to follow this simple guideline. 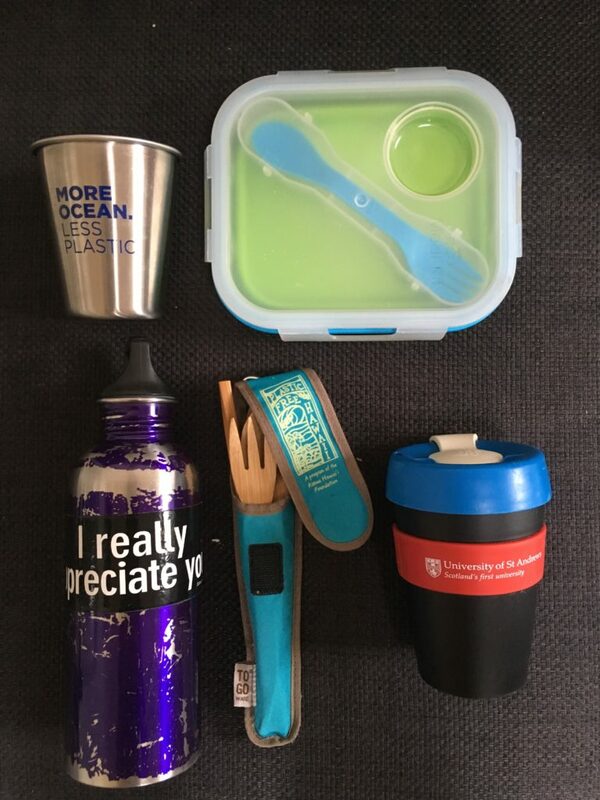 For beginners: you can try eliminating what they call “Target takeaway items”: bags, bottle, straws and coffee cups. I would really encourage you guys to try the full monty for the month and learn from any difficulties or failures! I know it can be hard to jump straight in, so I’m setting out this guide so you have plenty of time to create new habits for next month. Bottled water is whack. Invest in a canteen, and use it faithfully. Especially in these hot summer months! Carry a small collapsible container with you on the go for when you stop in takeaway places. You could also use a metal container, but I find collapsible easier to stick into my purse. For those late night summer festivals – carry a reusable cup. Say no to the dreaded plastic cup at parties! I sport this one from 5 Gyres Institute, given to me by my little sister last year for my birthday! 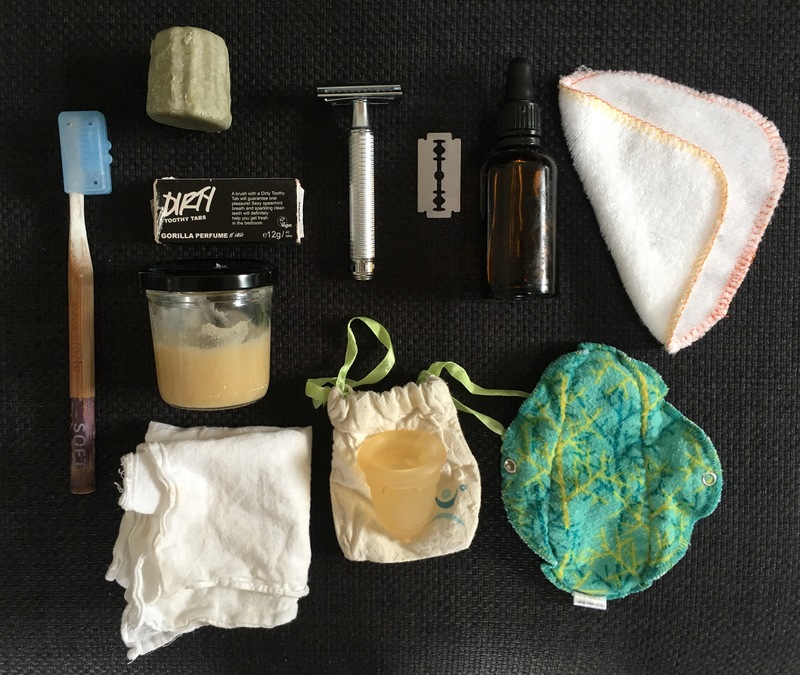 Switch to cotton-based reusable make up removers. These should be regularly washed (and unfortunately do not work on waterproof mascara). Switch to wooden, compostable toothbrushes and cardboard-box packaged tooth tabs. Switch to a menstrual cup (I use the mooncup http://www.mooncup.co.uk/) and reusable cloth pads which can be washed alongside underwear (but I wouldn’t wash them in with normal clothes). Use reusable cloth handkerchiefs instead of paper Kleenex (which often wrapped in plastic). Change the way you shop – that means bulk, bulk, bulk, baby! 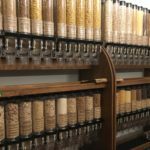 Put in your address to zerowastehome.com/app web-based app to find bulk stores in your area. 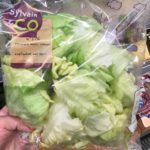 Carry produce bags with you at all times – you never know where you’ll need to pop into a store! If you forget them and you’re not near a bulk store, unpackaged fruit (weighed naked with no plastic bag) on the scale is a good alternative. 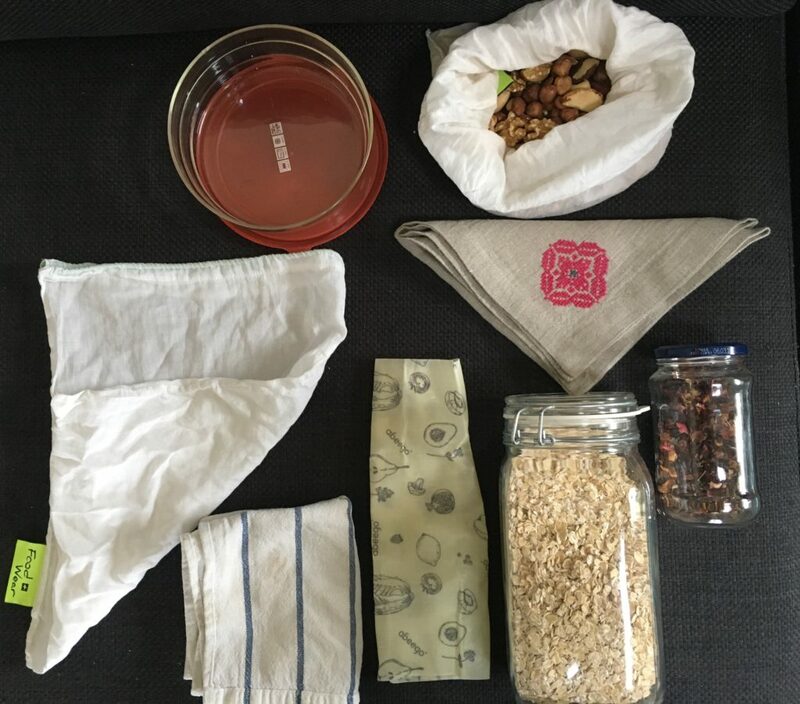 Host a BYOC (Bring Your Own Container) Zero Waste party with snacks, food and decorations all zero waste – invite others to join you and ask them to participate in Zero Waste July! Learn to make things from scratch! As an example: I used to buy Old El Paso tortillas, spending money and eating who-knows-what with all the preservatives etc. Tortillas are literally water, oil and flour. EASY! This applies to so many other things we rely on pre-packaged. Do it the old-fashioned way! Say goodbye to clingfilm and hello to beeswax wrap. Vegan alternatives are usually made with candelilla wrap. These can be used for anything – from wrapping half-chopped onions to bringing in delicious baked goods to a summer picnic. Really easy to wash and re-use! If you can, store your food in glass Tupperware – heated plastic can leach chemicals into your food. (If you only have plastic Tupperware, no use in throwing it away – just plate your food before re-heating it). Not a plastic-free tip, but you can keep your compost in the freezer so it doesn’t stink up your place while you wait to transfer it to your compost heap outside! 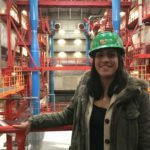 Not really a checklist item, but some advice: Don’t be afraid to ask – I’ve been the annoying girl with her own container more times than I can count, but just remind yourself why you’re doing this and why it’s so important! I also recommend organising a zero waste area in your kitchen – that means all the old jars, cloth bags and produce bags in one area. It’s really helpful as a time saver! 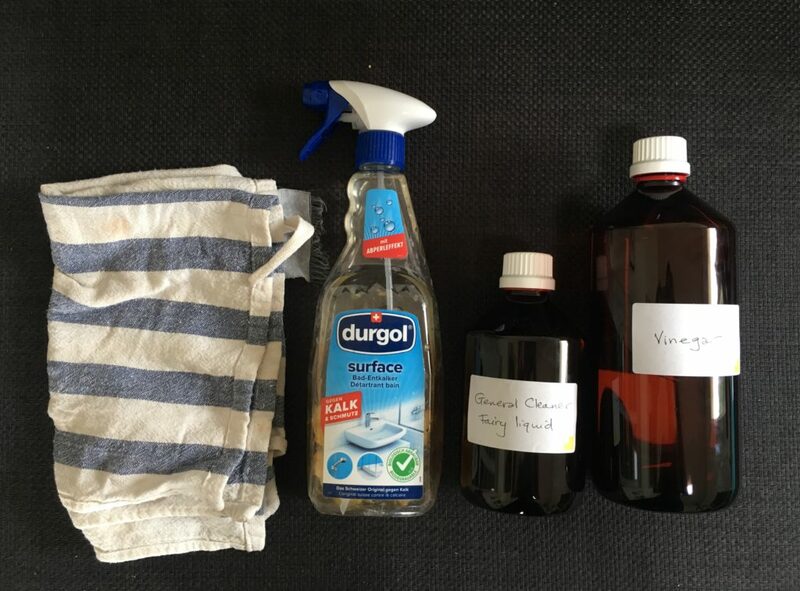 Replace household cleaners with homemade products made using vinegar, water and bicarbonate of soda – I use an old spray bottle from back in the day. For an all purpose cleaner, pout 1/4 cup vinegar to 1 cup water. You can also put in orange peel scraps with the vinegar, leave it for 2 weeks, then distill with the water. This will give a lovely orange scent! Use natural methods for difficult cleaning tasks: e.g. to unblock a drain: pour 2 cups of boiling water down the drain, leave it a while (10 mins or so), pour down 1 cup of baking soda, and then 1 cup of vinegar. Easy peasy! For the handy among you: learn how to make your own cleaning products! Make the wrapping a gift by learning how to wrap Furoshiki (a traditional Japanese wrapping cloth). This can be any cloth, but LUSH sell some cute ones! (Although unfortunately they erase the Japanese culture by calling it “knot wrap”… but that’s a blog post for another day). Say no to freebies in hotels or shops – make sure to bring your own shampoo etc when vacationing and put all the products to one side (I sometimes even leave a little note telling them I won’t be using them so they can take them back). Support companies that minimise their packaging or are ethical and local! Final note: you may not be able or want to do all of these things overnight. And that’s okay! Use the list to set goals and a timeline for yourself and do as much as you can. It’s all about trying to push back against this throwaway lifestyle, and that’s important! MORE THAN ANYTHING, plastic-free living is about slowing down, planning in advance, or making compromises. Don’t beat yourself up when you produce waste, but don’t use it as an excuse to give up, either.